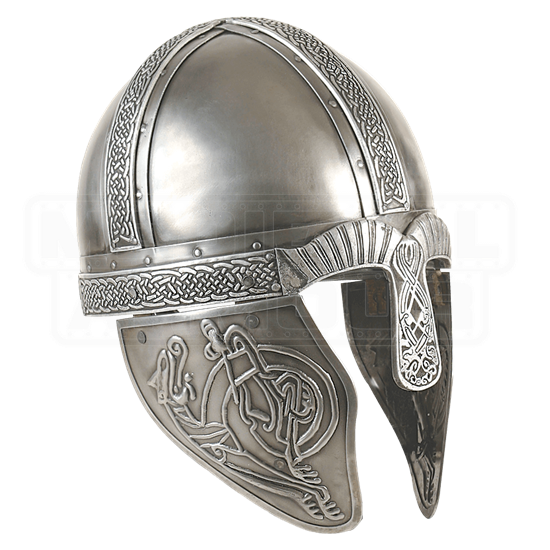 This new helmet is rich with deeply embossed Celtic knotwork detail across and around the crown and on the nose guard. Raised traditional dog designs embellish the hinged cheek plates. 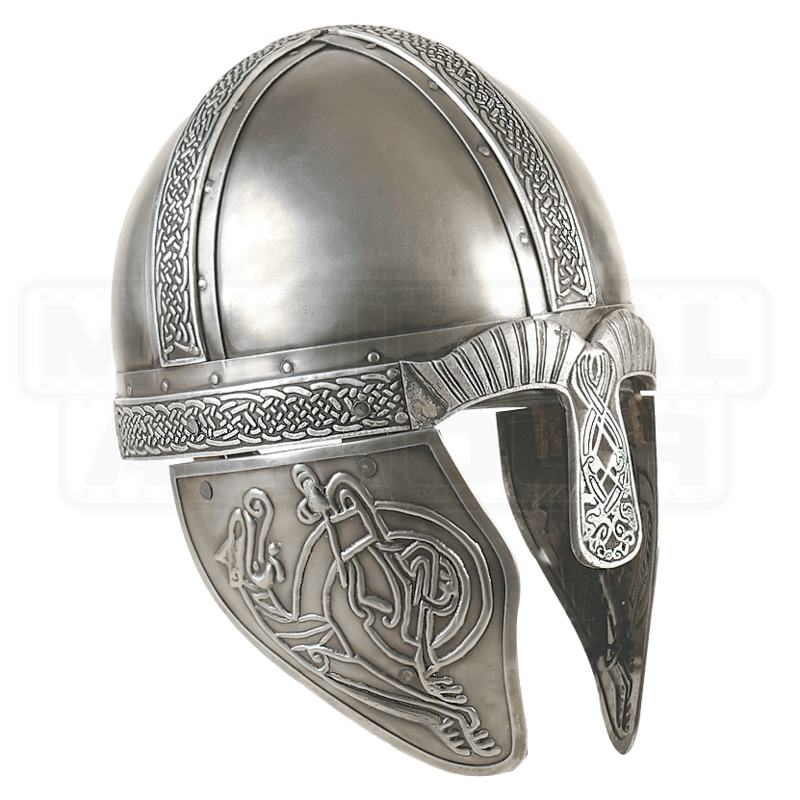 This helmet is crafted from 18 gauge steel and has an antiqued finish. The interior has an approximately 26 inch inner circumference with an adjustable leather liner with chin strap. Fits Up to a 23.5 Inch Circumference.